That Cali sound JD Souther co-wrote a number of the Eagles’ hits. When he was inducted into the Songwriter's Hall of Fame in 2013, JD Souther was called a "principal architect of the Southern California sound and a major influence on a generation of songwriters." Tenderness. Souther appears at the Mystic Theatre on July 29 in a solo performance. Souther got his start playing country-rock tunes at the Troubadour in Los Angeles, though he grew up in a house filled with opera and jazz. "My father's mother was an opera singer, and she played me all the great composers," says Souther from his home outside of Nashville. "And my dad was a big-band singer, so I heard a lot of Sinatra, Sinatra, Sinatra and Sinatra." Growing up playing drums and tenor sax player, Souther discovered country music as a teen, and picked up guitar after moving to Los Angeles from Amarillo, Texas, in the late '60s. There, he shared open mics with Jackson Browne and roomed with Glenn Frey when Frey and Don Henley started up a band called the Eagles. "I got fascinated with country music," he says. "Then I met Linda Ronstadt, who knew everything about country music. It made a deep impression on me how genuine and how heartfelt the music was, and how it depended more on story and sincerity than technique, though that is involved." Throughout the 1970s, Souther co-wrote a number of Eagles' hits, including "Best of My Love" and "New Kid in Town," and wrote songs for Ronstadt and Bonnie Raitt. He also released several acclaimed solo records that in turn featured Frey, Henley, Ronstadt and others. These days, Souther's country styling has become intertwined with a new palette of sounds, starting with 2008's album If the World Was You, recorded live with a jazz sextet, and 2015's Tenderness, which includes stunning string arrangements and jazz piano courtesy of famed performer Billy Childs. Souther also recently released newly expanded editions of three of his older solo albums: his 1972 debut John David Souther, 1976's Black Rose and 1984's Home by Dawn. Souther's current solo tour will offer fans the most intimate offering yet of his biggest hits, his current repertoire and his favorite stories from the last 40-plus years. "I'll play a little of everything," he says. "But it's going to be a different kind of show." 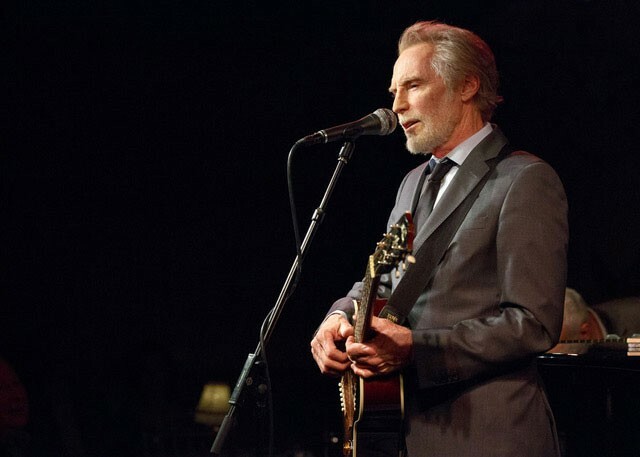 JD Souther performs on Saturday, July 29, at the Mystic Theatre, 23 Petaluma Blvd. N., Petaluma. 7:30pm. $32. 707.775.6048.